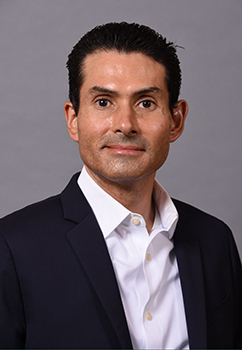 As a member of the UMIT Executive Cabinet, Frank serves as a visionary enterprise application architect for the University of Miami and works to constantly evolve the highly-integrated nature of the university’s enterprise systems with a goal of efficient operations and high-quality data. He has broad operational responsibilities for information technology applications supporting the business and academic administrative functions at the university. Prior to joining UMIT, at The George Washington University (GWU), Frank was responsible for setting up and leading strategy and innovation programs associated with GWU's Business Intelligence & Enterprise Information Services. Earlier, Frank held the role of Assistant Vice President of Computer Services at Temple University. With a community of over 50,000+ users, Frank managed IT operations and handled the strategic planning of Temple’s enterprise computer and information services. As an information technology executive with more than 20 years of experience, Frank has a background in design, development, and management of information systems, global IT management, and strategic planning within the higher education, high technology, semiconductor manufacturing, medical systems, and aircraft manufacturing industries. He has also been appointed as Adjunct Faculty, has taught numerous graduate, undergraduate, and executive-level courses in Business Administration, Computer Science, and Electrical Engineering. He has carried out research in computer simulation and optimization as well as global business strategy. Frank holds a Ph.D. in Computer and Information Science and an MBA in Strategic Global Business Management from the University of Pennsylvania, as well as a BS in Electrical and Electronic Engineering from the University of Costa Rica. Additionally, he is a Fulbright Scholar.